Come check out this beautifully maintained corner lot home for sale! This home is situated on nearly 1/4 acre that has tons of features that include an open kitchen that has been tastefully appointed with crisp white cabinets, tiled backsplash and stainless steel appliances! As you head up the dual rod iron staircase you'll find a huge loft with a built-in computer desk, oversized master bedroom suite with double door entry, vaulted ceilings, his and her vanities, TWO walk-in closets and separate shower and soaking tub! Downstairs you will also find a private courtyard, perfect for morning coffee. In the backyard you'll find an expansive amount of space that is perfect for entertaining! 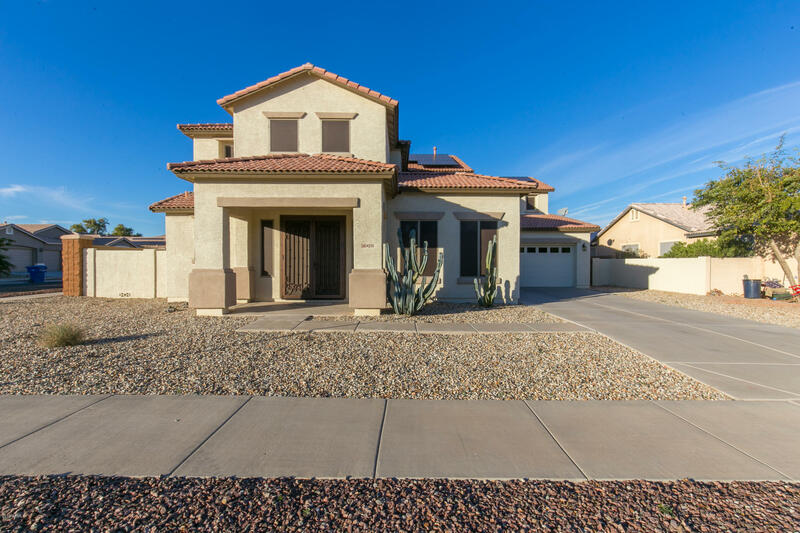 Located minutes to White Tank Mountains, easy freeway access and tons of great shopping and dining!